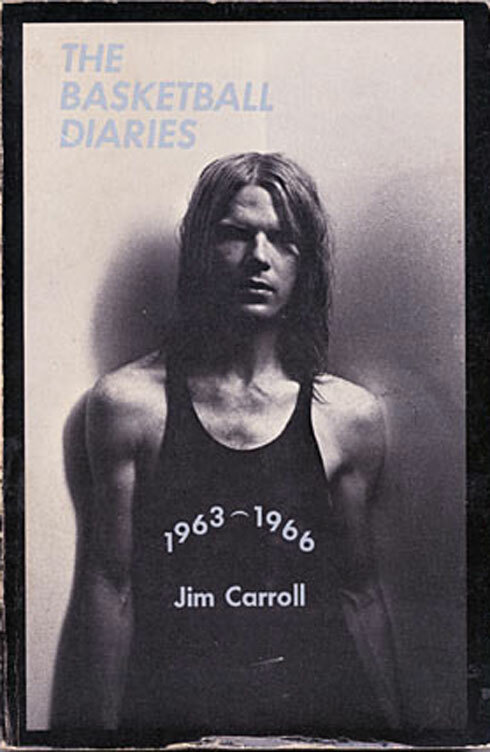 James Dennis “Jim” Carroll (August 1, 1949 – September 11, 2009) was an American author, poet, autobiographer, and punk musician. 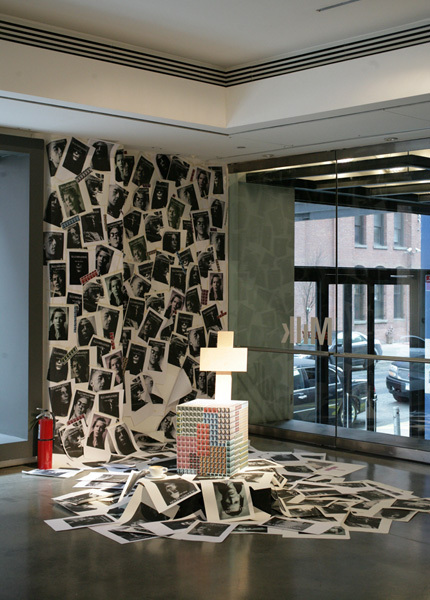 Carroll was born to a working-class family of Irish descent, and grew up on New York City’s Lower East Side. When he was about 11 (in the sixth grade) his family moved north to Inwood in Upper Manhattan where he attended Good Shepherd School. He was taught by the LaSalle Christian Brothers, and his brother in the sixth grade noted that he could write and encouraged him to do so. In fall 1963, he entered public school, but was soon awarded a scholarship to the elite Trinity School. He attended Trinity from 1964–1968. 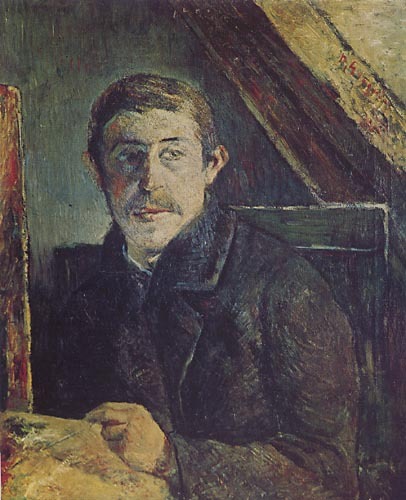 Carroll identified Rainer Maria Rilke, Frank O’Hara, John Ashbery, James Schuyler, Allen Ginsberg, and William S. Burroughs as influences on his artistic career. While still in high school, Carroll published his first collection of poems, Organic Trains. 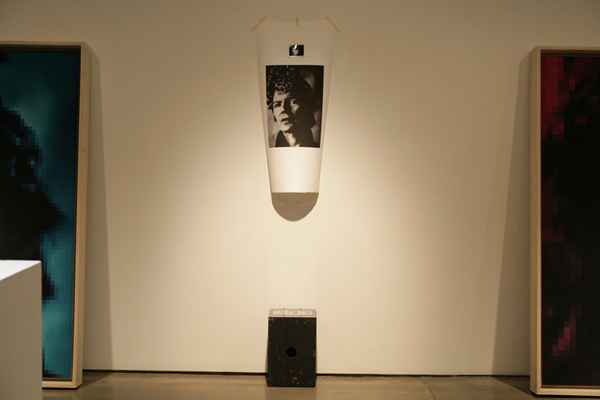 Already attracting the attention of the local literati, his work began appearing in the Poetry Project’s magazine The World in 1967. Soon his work was being published in elite literary magazines like Paris Review in 1968, and Poetry the following year. 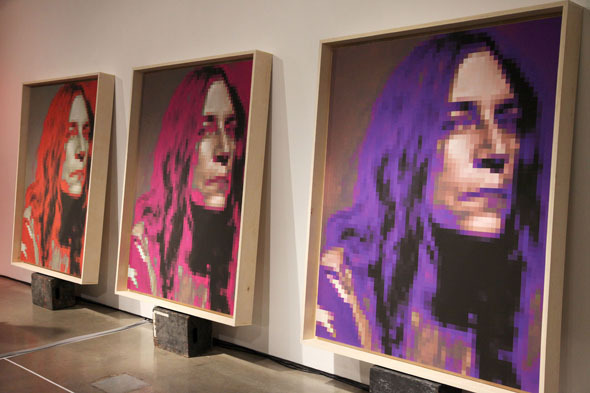 In 1970, his second collection of poems, 4 Ups and 1 Down was published, and he started working for Andy Warhol. At first, he was writing film dialogue and inventing character names; later on, Carroll worked as the co-manager of Warhol’s Theater. Carroll’s first publication by a mainstream publisher (Grossman Publishers), the poetry collection Living at the Movies, was published in 1973. 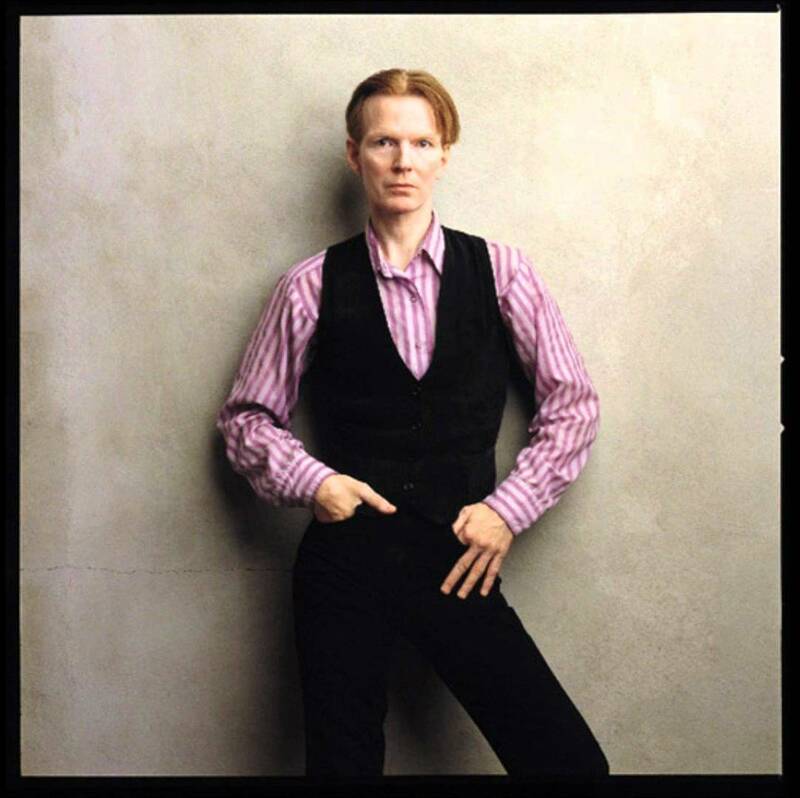 In 1978, after he moved to California to get a fresh start since overcoming his heroin addiction, Carroll formed The Jim Carroll Band, a new wave/punk rock group, with encouragement from Patti Smith, with whom he once shared an apartment in New York City, along with Robert Mapplethorpe. 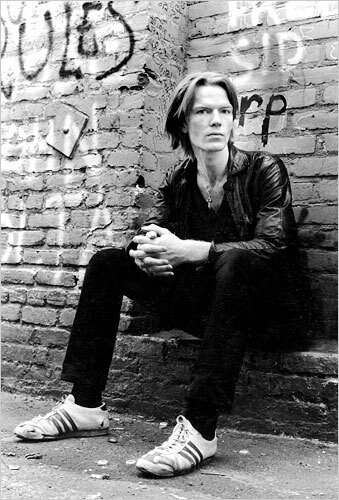 He performed a spoken word piece with the Patti Smith Group in San Diego when the support band dropped out at the last moment. 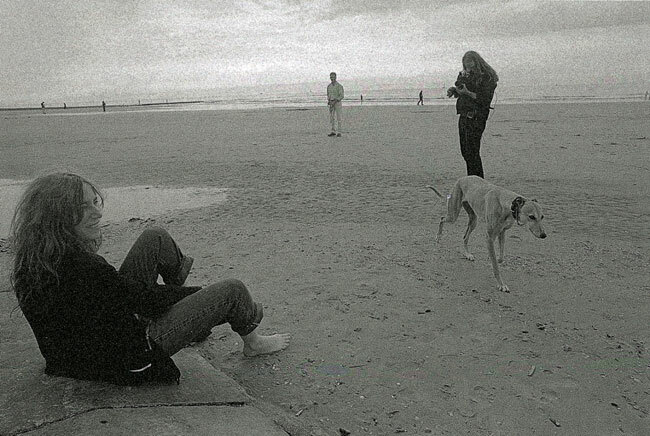 The band was originally called Amsterdam, where they originally formed and were based in Bolinas, California. The musicians were Steve Linsley (bass), Wayne Woods (drums), Brian Linsley and Terrell Winn (guitars). 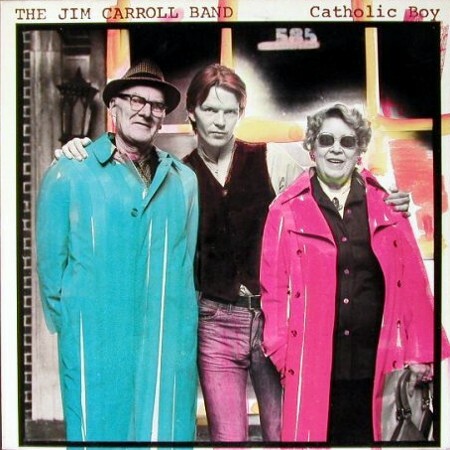 They released a single People Who Died, from their 1980 debut album, Catholic Boy. The album featured contributions from Allen Lanier and Bobby Keys. In 1982 the song appeared in E.T. the Extra-Terrestrial (Steven Spielberg, 1982), from which Carroll received royalties until his death in 2009. The song also appeared in the 1985 Kim Richards vehicle Tuff Turf starring James Spader and Robert Downey Jr., which also featured a cameo appearance by the band, as well as 2004’s Dawn of the Dead. 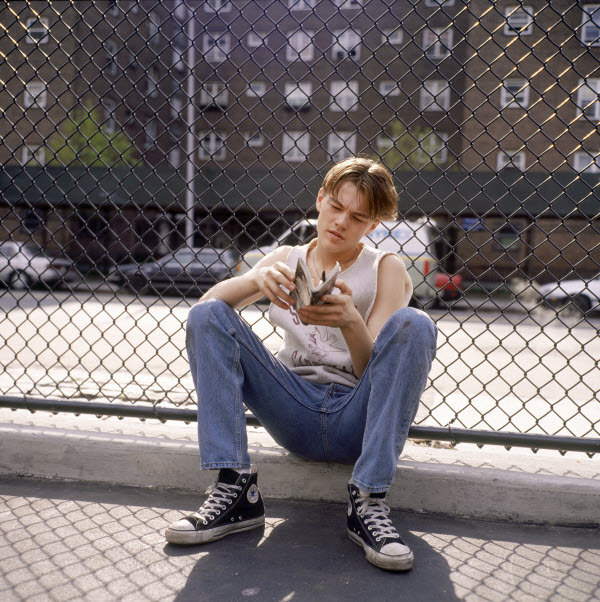 It was featured in the 1995 film The Basketball Diaries (based on Jim Carroll’s autobiography), and was covered by John Cale on his Antártida soundtrack. A condensed, 2-minute, version of the song was made into an animated music video by Daniel D. Cooper, an independent filmmaker/animator, in 2010. 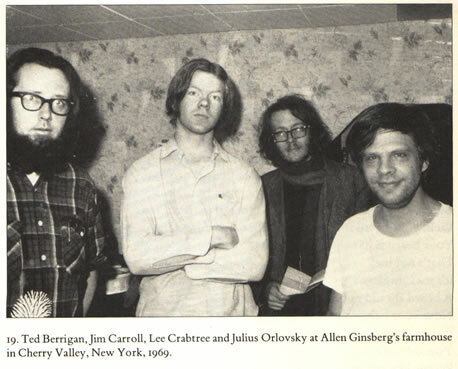 The song’s title was based on a poem by Ted Berrigan. 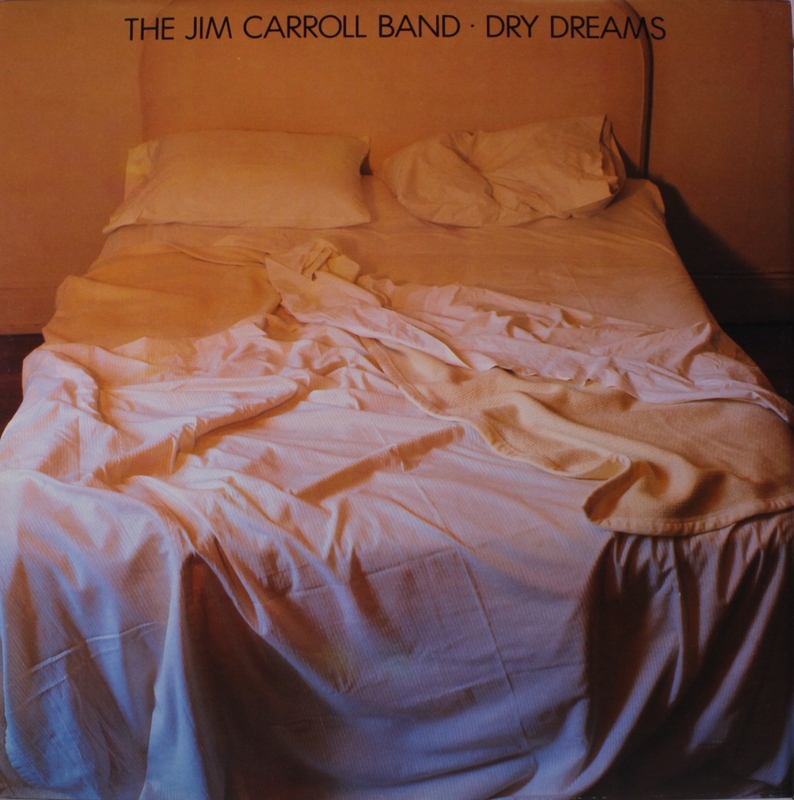 Later albums were Dry Dreams (1982) and I Write Your Name (1983), both with contributions from Lenny Kaye and Paul Sanchez. 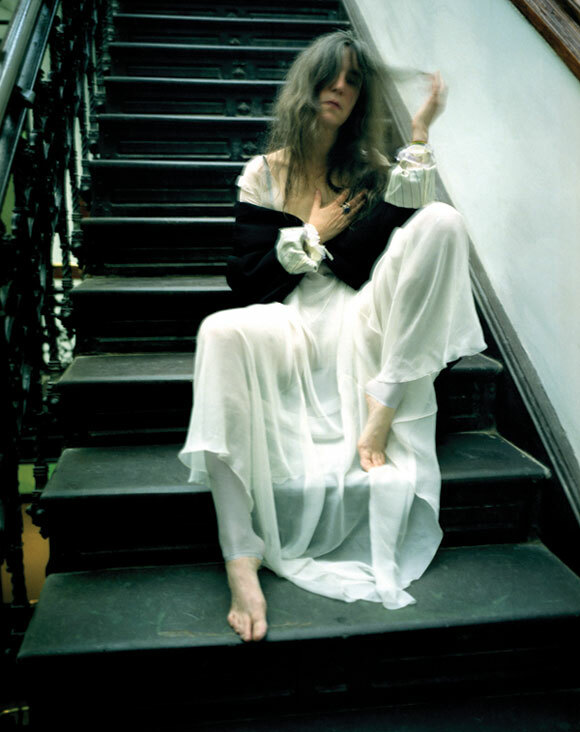 Carroll also collaborated with musicians Lou Reed, Blue Öyster Cult, Boz Scaggs, Ray Manzarek of The Doors, Pearl Jam, Electric Light Orchestra and Rancid. 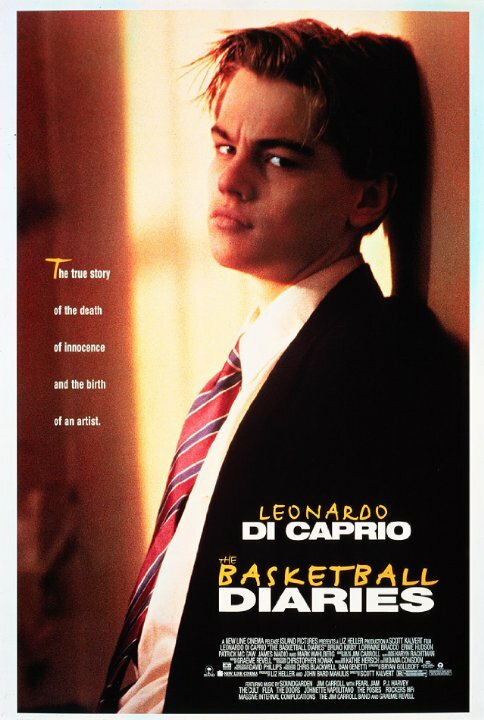 The Basketball Diaries (Scott Kalvert, 1995) is an adaptation of poet and memoirist Jim Carroll’s (Leonardo DiCaprio) juvenile diaries chronicling his kaleidoscopic free-fall into the harrowing world of drug addiction. As a member of a seemingly unbeatable high school basketball squad, Jim’s life centers on the basketball court and the court becomes a metaphor for the world in his mind. A best friend who is dying of leukemia, a coach (“Swifty”) who takes unacceptable liberties with the boys on his team, teenage sexual angst, and an appetite for cocaine and heroin all begin to encroach on young Jim’s dream of becoming a basketball star. Soon, the dark streets of New York become a refuge from his mother’s mounting concern for her son. He cannot go home and his only escape from the reality of the streets is heroin for which he steals, robs and prostitutes himself. Only with the help of Reggie, an older neighborhood friend with whom Jim “picked up a game” now and then, is he able to begin the long journey back to sanity, which ultimately ends with Jim’s incarceration in Riker’s Island. After months in prison, he leaves and later does a talk show about his drug life, after turning down free drugs from his old friend, Pedro. 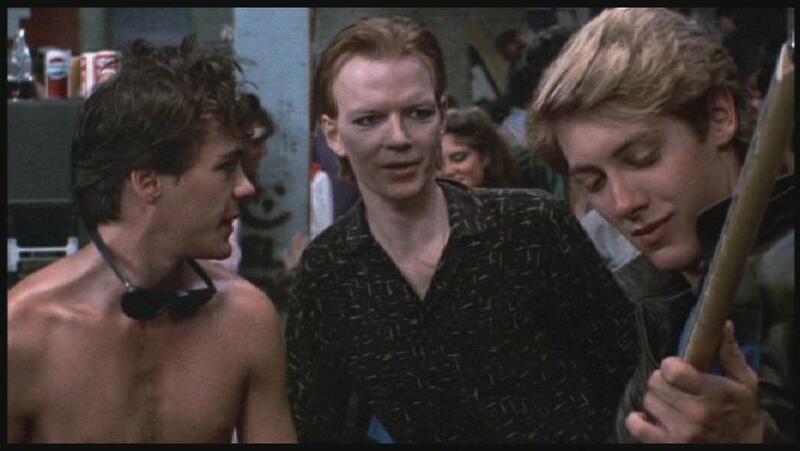 The film is set in the early 1990s, while Carroll’s actual book recounts experiences from growing up in the 1960s. 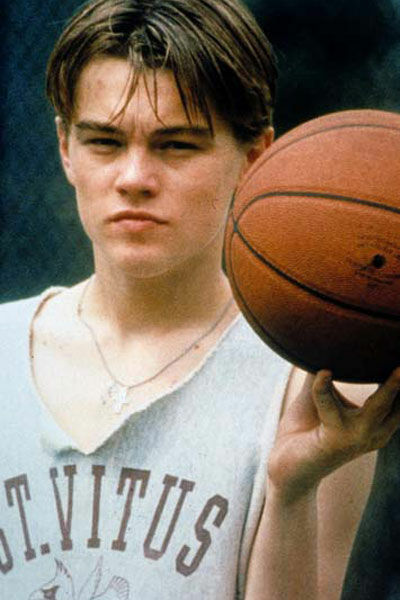 Jim started out as a practice basketball player, and moved on to write The Basketball Diaries. 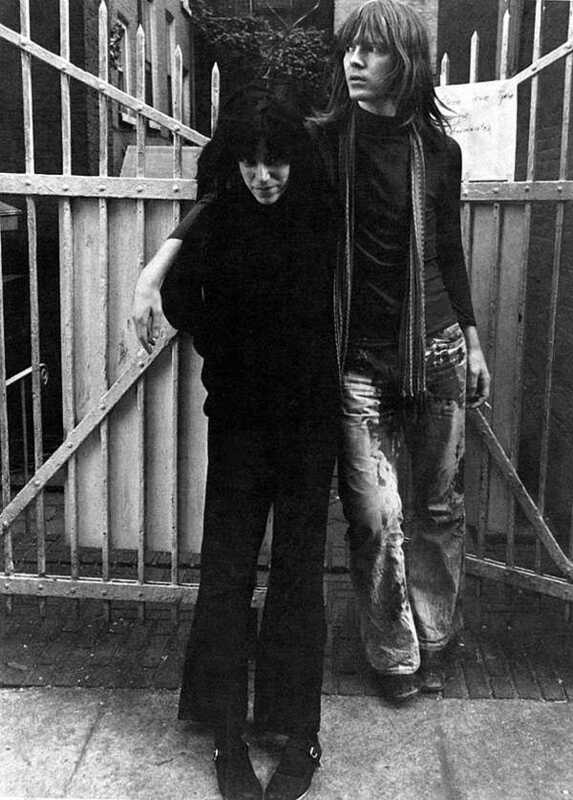 Dancing Barefoot is a rock song written by Patti Smith and Ivan Kral, and released as a second single from Patti Smith Group’s 1979 album Wave. According to the album sleeve, the song was dedicated to women such as Amedeo Modigliani‘s mistress Jeanne Hébuterne. In 2004, this song was ranked number 323 on Rolling Stone‍ ’​s list of “The 500 Greatest Songs of All Time”. It has been recorded by many including U2, Simple Minds and Pearl Jam. 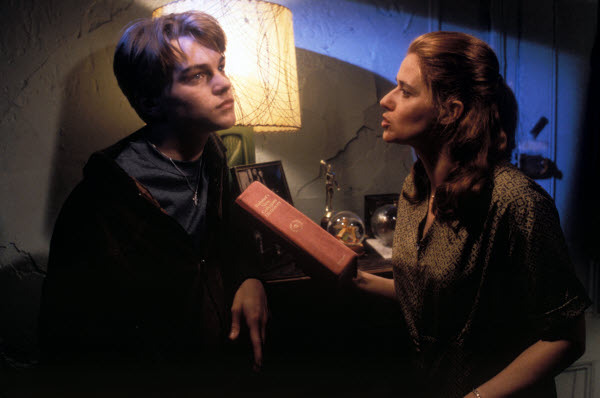 The version covered by Johnette Napolitano was included on the score of The Basketball Diaries (Scott Kalvert, 1995). 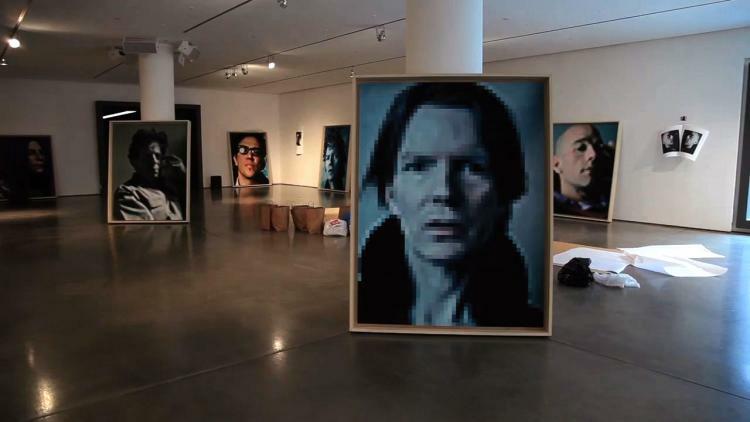 We are constantly looking at still and video images through compressed formats, on smaller screens, on shrinking devices. I invert the approach to current media, by enlarging the minuscule detail of compressed imagery to a point of beautiful abstract distortion. By breaking the image elements into enlarged color tiles, I strive to create two levels of viewing. I experiment pulling the eye of the viewer back and forth between the sterile smoothness of tiles and the composed depth of a lit portrait. 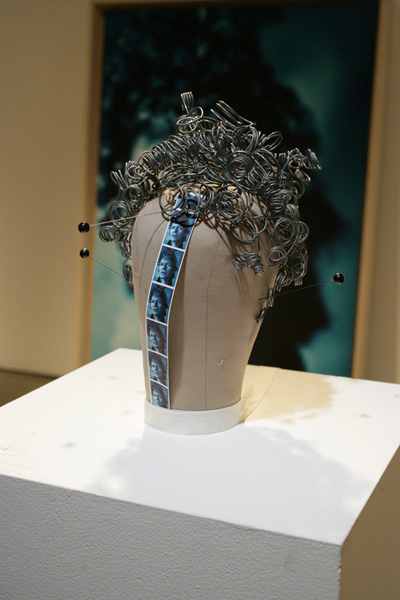 It is a mediation of human emotion and experience contained from the perspective of the digital age. 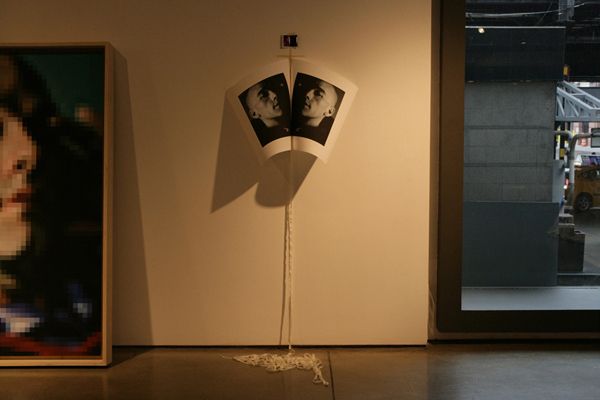 My subjects, who are poets – parse the human experience into measures of words, sounds, images. 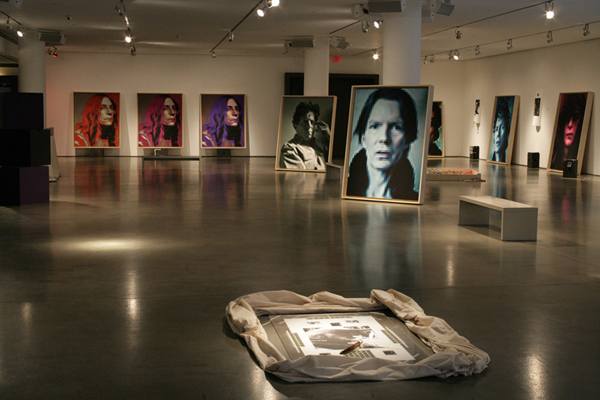 The portraits are large in scale, evoking sacred items to be viewed with a sense of awe and wonder. One thinks of stained glass windows in cathedrals; upon close examination, the exquisite tiles break the image into astounding squares of colored glass. 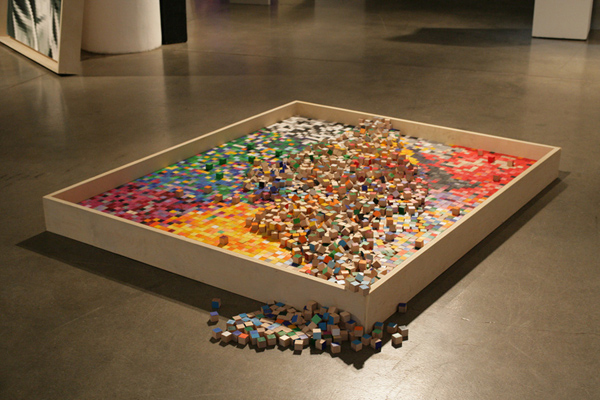 The abstract color tiles invite the viewer to explore the surface texture of the image. 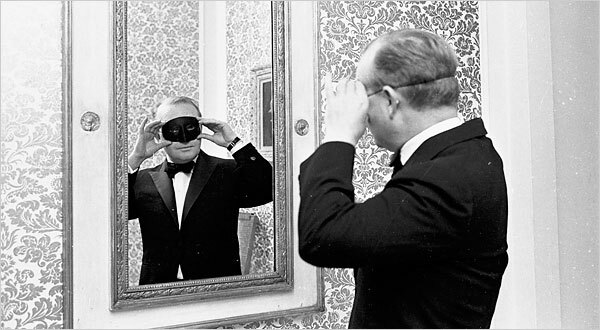 When you take a step back, the image becomes whole, the work illuminated, shining light on the subjects – poetry itself. I make a statement on the nature of a poet – we can see these faces at a distance, but tiles prevent us from recognizing the subjects at a closer range. the sum of their work and voices touches us, but they are, as all people are, ultimately unknowable. 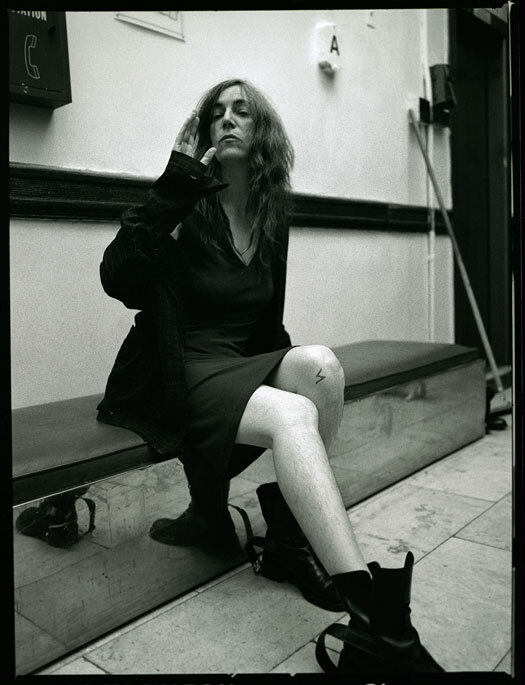 It was in 1995 when the photographer Steven Sebring met Patti Smith while on a shoot for Spin Magazine. 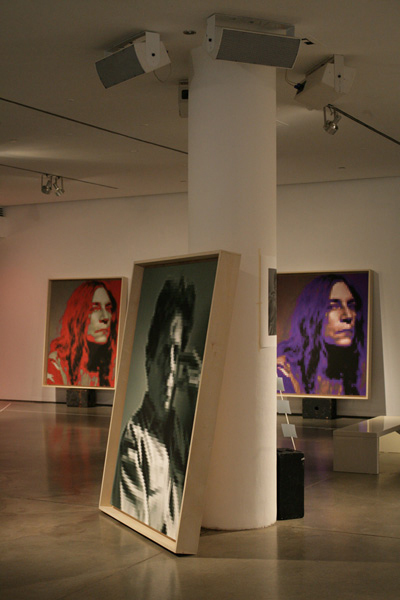 Many years later they collaborated on a film Patti Smith: Dream of Life, a book, and an exhibition. And they collaborated again. 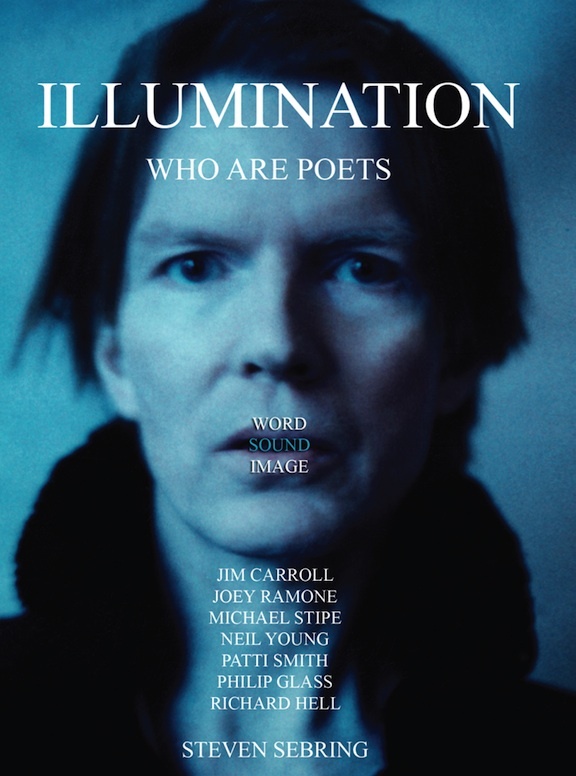 to celebrate the opening of Sebring’s exhibition Illumination: Who Are Poets at the Milk Gallery in Chelsea (2011). 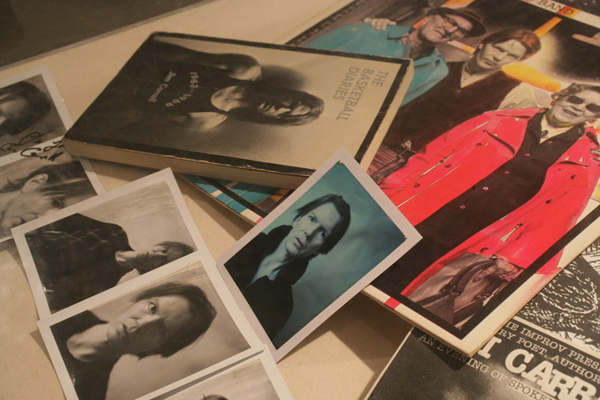 The exhibit featured a series of portraits Sebring did of Patti, Jim Carroll, Joey Ramone, Michael Stipe, Neil Young, Philip Glass and Richard Hell. 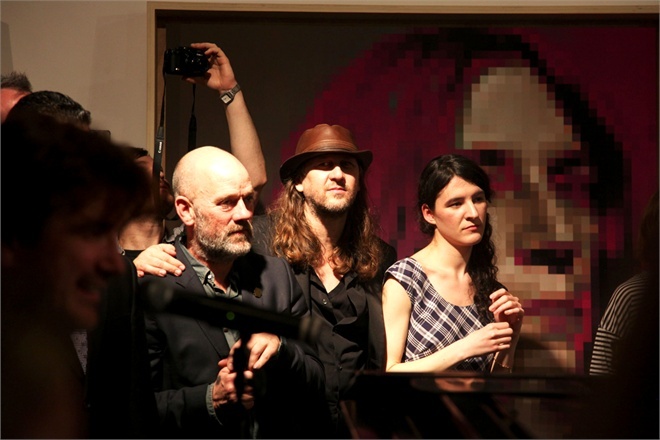 To honor the subjects, Patti and Stipe sang and played. Patti shared with the public few lectures stories and songs about all of them. 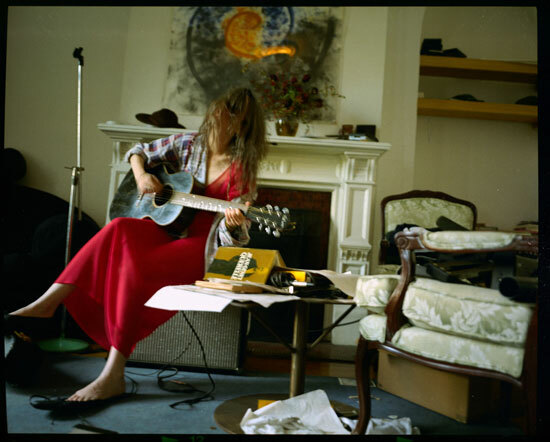 Her passion and devotion to poetry made her the perfect voice for a special New York night. She shared the stage with her long time guitarist Lenny Kaye and her daughter Jesse (magic on piano). John Lennon received a letter from a pupil at Quarry Bank High School, which he had attended. The writer mentioned that the English master was making his class analyse The Beatles‘ lyrics (Lennon wrote an answer, dated 1 September 1967, which was auctioned by Christie’s of London in 1992). Lennon, amused that a teacher was putting so much effort into understanding the Beatles’ lyrics, decided to write in his next song the most confusing lyrics that he could. The genesis of the lyrics is found in three song ideas that Lennon was working on, the first of which was inspired by hearing a police siren at his home in Weybridge; Lennon wrote the lines “Mis-ter cit-y police-man” to the rhythm and melody of the siren. The second idea was a short rhyme about Lennon sitting in his garden, while the third was a nonsense lyric about sitting on a corn flake. Unable to finish the ideas as three different songs, he eventually combined them into one. 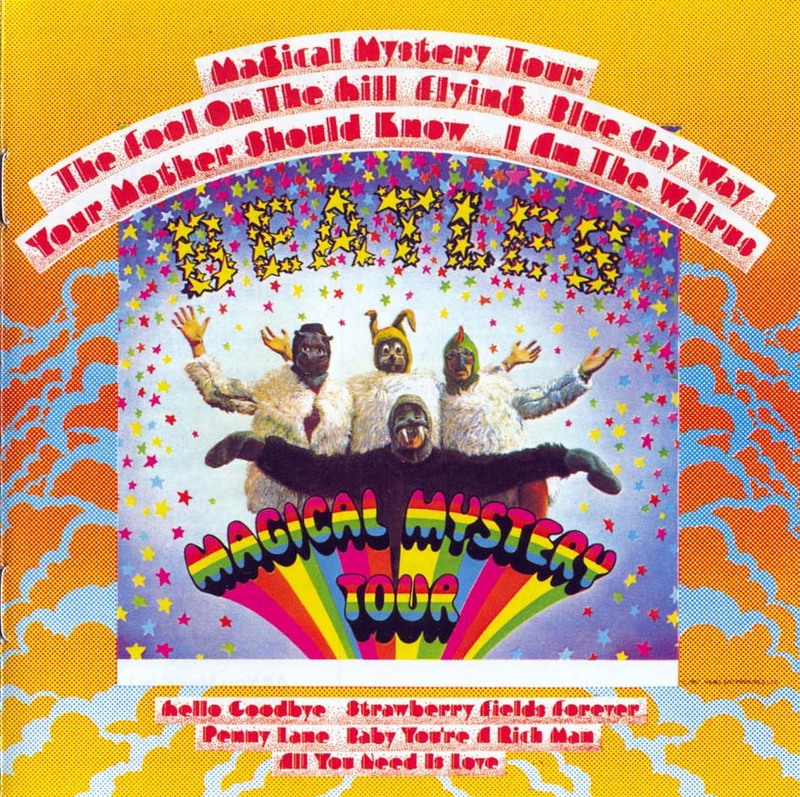 The lyrics also included the phrase “Lucy in the sky” from Lucy in the Sky with Diamonds from Sgt. Pepper’s Lonely Hearts Club Band earlier in the year. 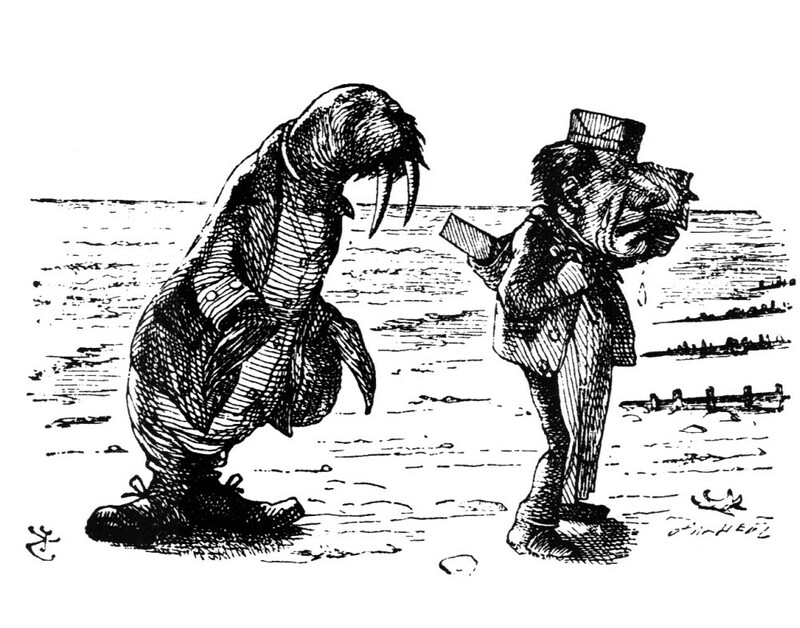 The walrus is a reference to the walrus in Lewis Carroll‘s poem The Walrus and the Carpenter (from the book Through the Looking-Glass). 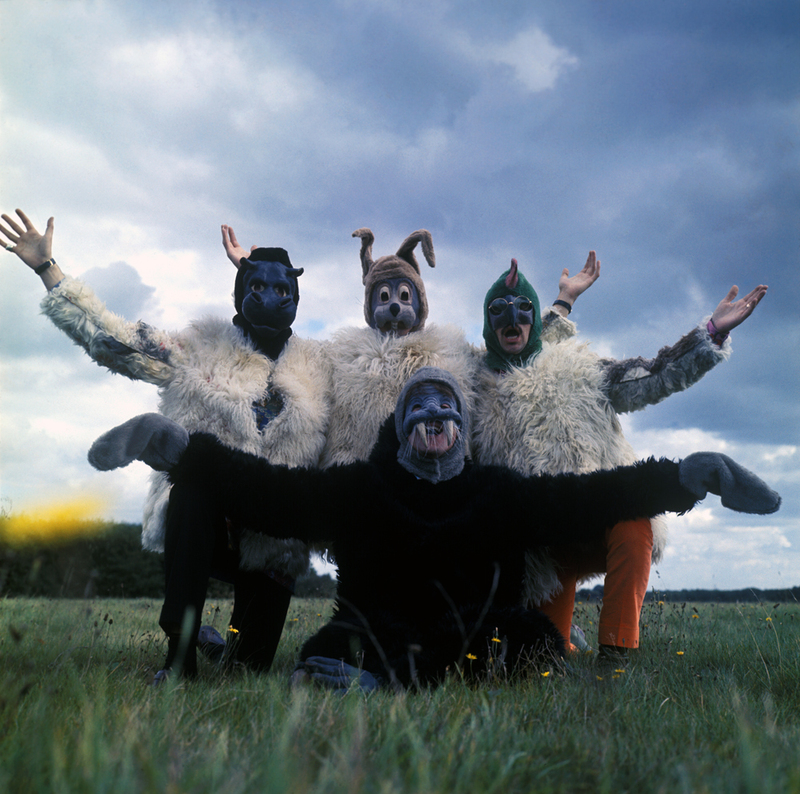 Lennon later expressed dismay upon belatedly realising that the walrus was a villain in the poem. Lennon borrowed a couple of words, added the three unfinished ideas and the result was I Am the Walrus. The Beatles’ official biographer Hunter Davies was present while the song was being written and wrote an account in his 1968 biography of the Beatles. 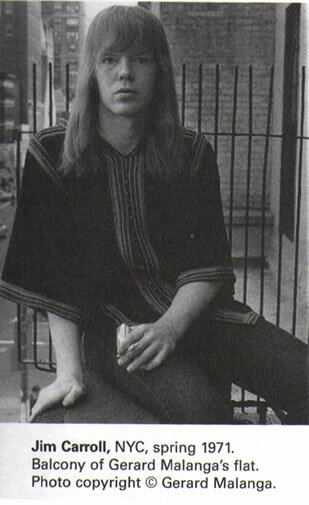 Lennon remarked to Shotton, “Let the fuckers work that one out.” Shotton was also responsible for suggesting to Lennon to change the lyric “waiting for the man to come” to “waiting for the van to come”. 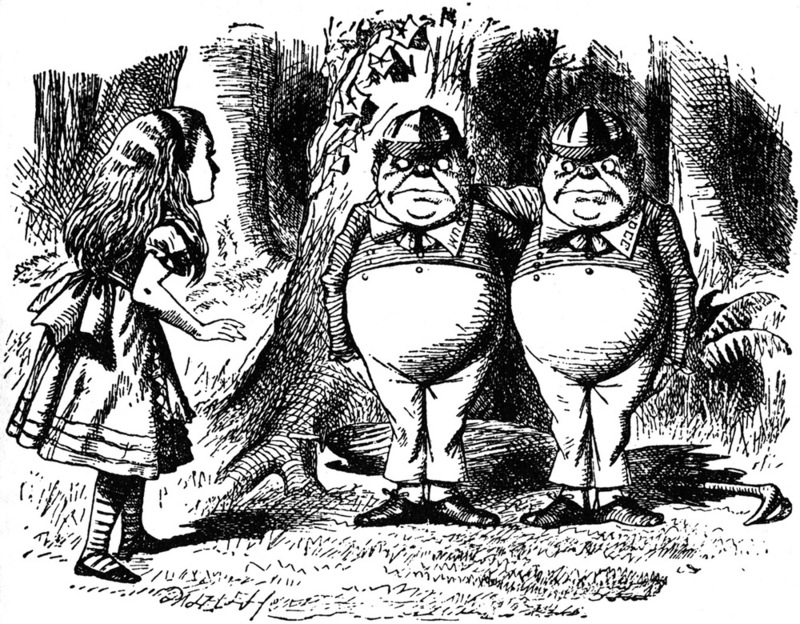 Tweedledum and Tweedledee are fictional characters in an English nursery rhyme and in Lewis Carroll‘s Through the Looking-Glass, and What Alice Found There (1871). Their names may have originally come from an epigram written by poet John Byrom. 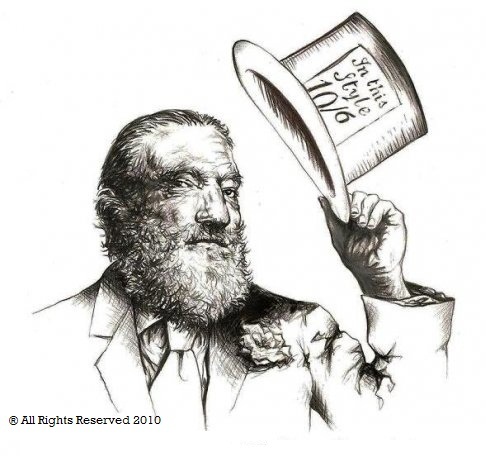 The nursery rhyme has a Roud Folk Song Index number of 19800. The names have since become synonymous in western popular culture slang for any two people who look and act in identical ways, generally in a derogatory context. 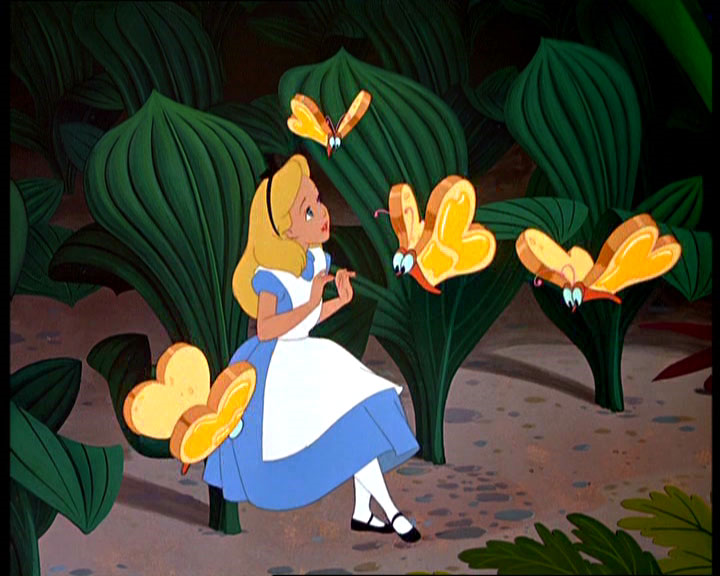 Carroll, having introduced two fat little men named Tweedledum and Tweedledee, quotes the nursery rhyme, which the two brothers then go on to enact. They agree to have a battle, but never have one. When they see a monstrous black crow swooping down, they take to their heels. 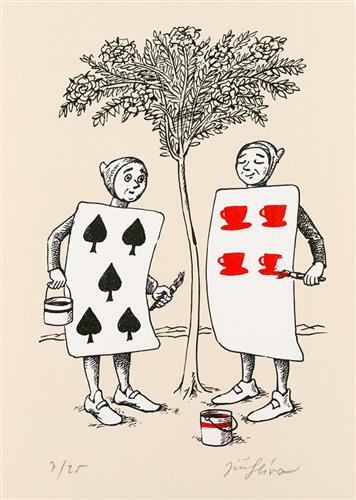 The Tweedle brothers never contradict each other, even when one of them, according to the rhyme, “agrees to have a battle”. Rather, they complement each other’s words. 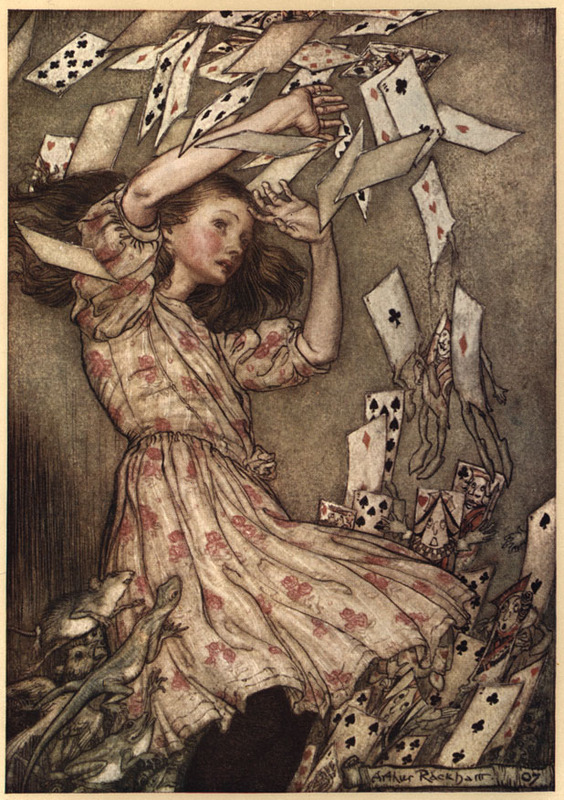 This fact has led Tenniel to assume that they are twins, and Martin Gardner goes so far as to claim that Carroll intended them to be enantiomorphs — three-dimensional mirror images. 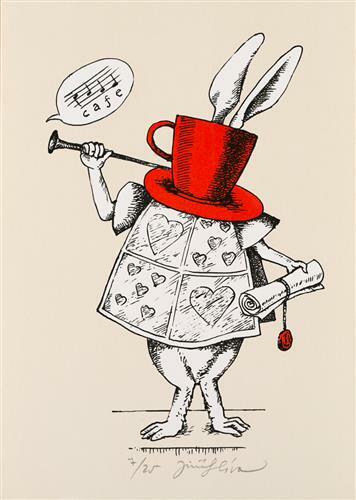 Evidence for these assumptions cannot be found in any of Lewis Carroll’s writings. Although Byrom is clearly the author of the epigram, the last two lines have also been attributed to Jonathan Swift and Alexander Pope. While the familiar form of the rhyme was not printed until around 1805, when it appeared in Original Ditties for the Nursery, it is possible that Byrom was drawing on an existing rhyme. 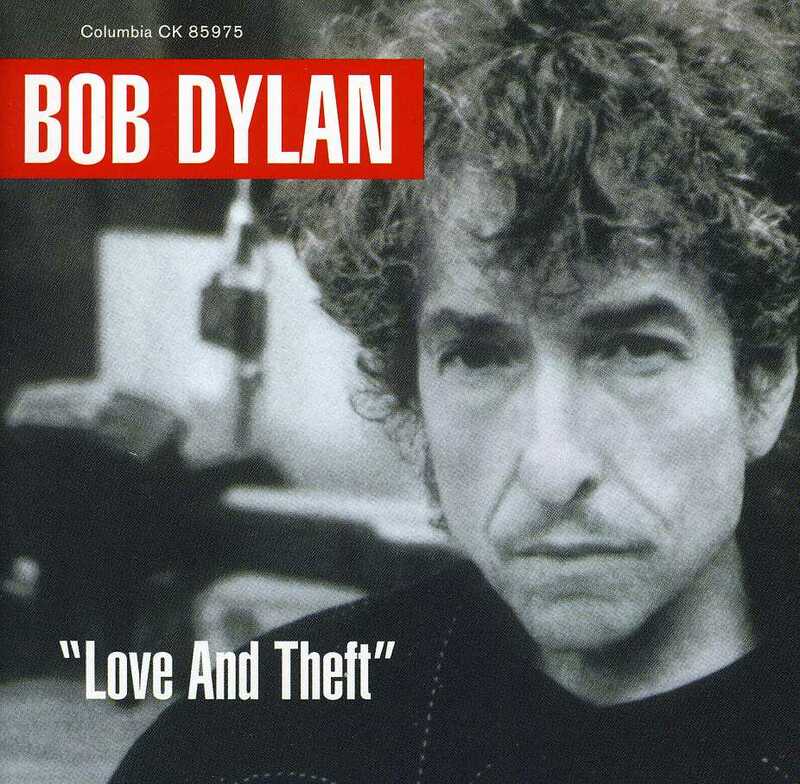 Tweedle Dee and Tweedle Dum features as the opening song on Bob Dylan‘s 2001 album Love and Theft. The track includes many references to parades in Mardi Gras in New Orleans, where participants are masked, and “determined to go all the way” of the parade route, in spite of being intoxicated. “It rolls in like a storm, drums galloping over the horizon into ear shot, guitar riffs slicing with terse dexterity while a tale about a pair of vagabonds unfolds,” writes Kot. “It ends in death, and sets the stage for an album populated by rogues, con men, outcasts, gamblers, gunfighters and desperados, many of them with nothing to lose, some of them out of their minds, all of them quintessentially American. They’re the kind of twisted, instantly memorable characters one meets in John Ford‘s westerns, Jack Kerouac‘s road novels, but, most of all, in the blues and country songs of the 1920s, ’30s and ’40s. This is a tour of American music—jump blues, slow blues, rockabilly, Tin Pan Alley ballads, Country Swing—that evokes the sprawl, fatalism and subversive humor of Dylan’s sacred text, Harry Smith’s Anthology of American Folk Music, the pre-rock voicings of Hank Williams, Charley Patton and Johnnie Ray, among others, and the ultradry humor of Groucho Marx. 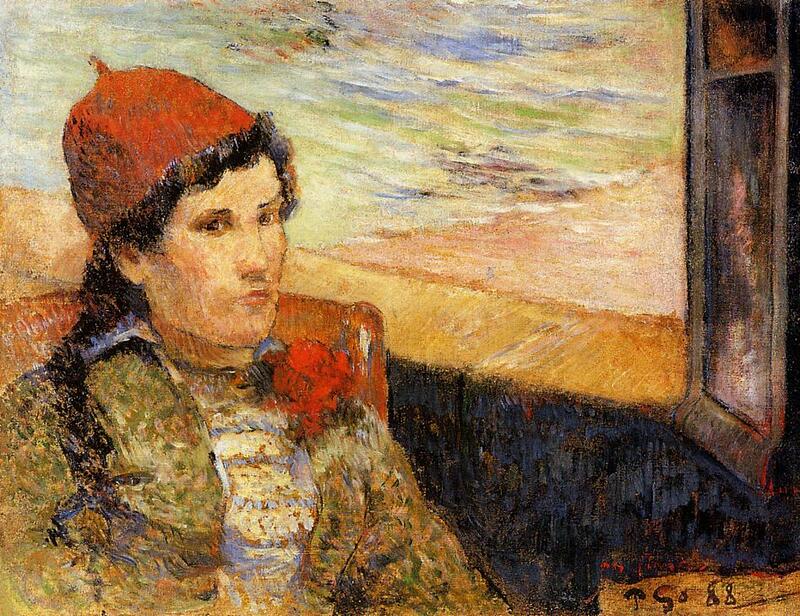 “The young artist uses color well …. 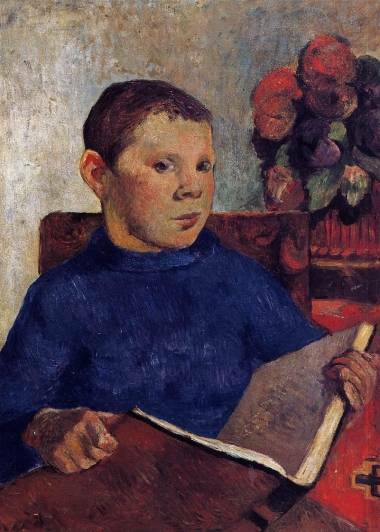 But more remarkable is the educated quality of his line and the stateliness of his compositions, both of which bespeak a formal training that, in fact, he never had” (Vivien Raynor). “And throughout floated a disembodied eye, which seemed to allude both to the self-the ‘I’-and to the witness or seer. 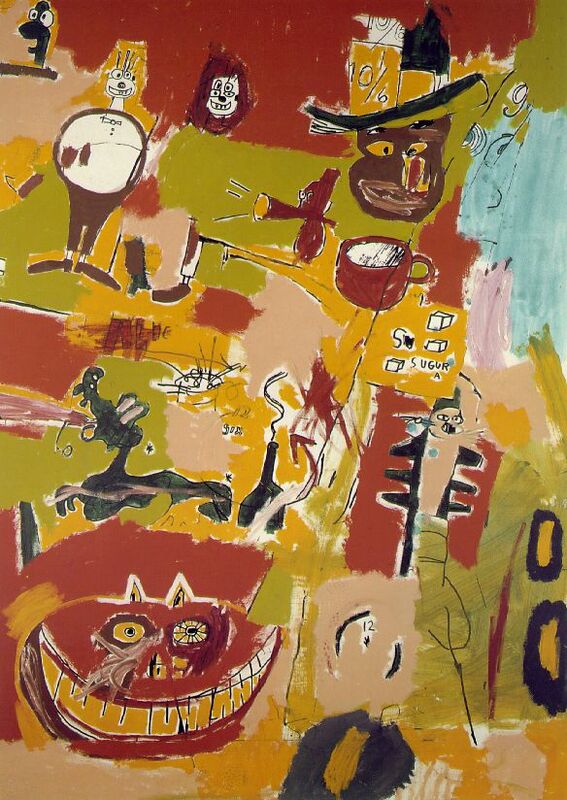 But one sensed little of what Basquiat is witness to, or of why it bears accounting” (Kate Linker). Babalon (also known as the Scarlet Woman, Great Mother or Mother of Abominations) is a goddess found in the mystical system of Thelema, which was established in 1904 with English author and occultist Aleister Crowley‘s writing of The Book of the Law (although the name Babalon does not occur in that text). 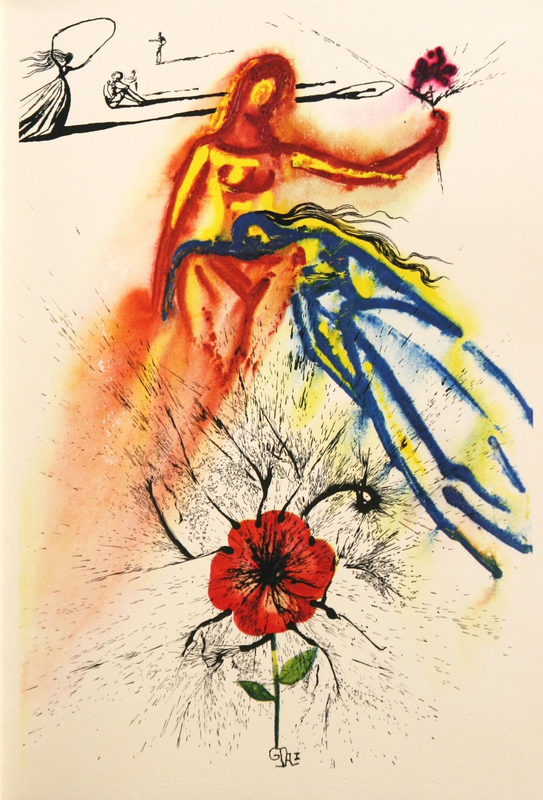 In her most abstract form, she represents the female sexual impulse and the liberated woman; although in the Creed of the Gnostic Mass she is also identified with Mother Earth, in her most fertile sense. At the same time, Crowley believed that Babalon had an earthly aspect in the form of a spiritual office, which could be filled by actual women—usually as a counterpart to his own identification as “To Mega Therion” (The Great Beast)—whose duty was then to help manifest the energies of the current Aeon of Horus. Her consort is Chaos, the “Father of Life” and the male form of the Creative Principle. 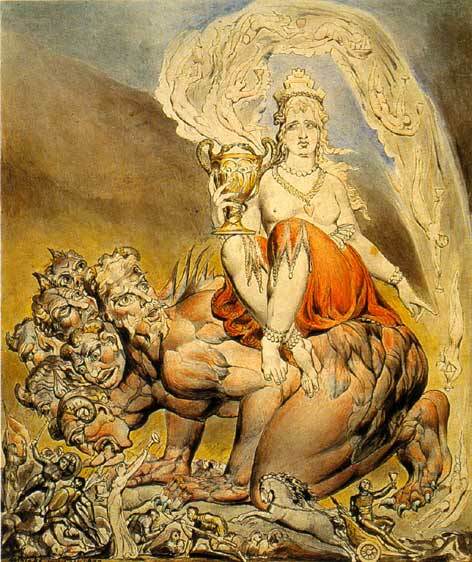 Babalon is often described as being girt with a sword and riding the Beast. She is often referred to as a sacred whore, and her primary symbol is the Chalice or Graal. As Crowley wrote in his The Book of Thoth, “she rides astride the Beast; in her left hand she holds the reins, representing the passion which unites them. In her right she holds aloft the cup, the Holy Grail aflame with love and death. In this cup are mingled the elements of the sacrament of the Aeon”. Perhaps the earliest origin is the ancient city of Babylon, a major metropolis in Mesopotamia (modern Al Hillah in Iraq). Babylon is the Greek variant of Akkadian Babilu (bāb-ilû), meaning “Gateway of the god”. It was the “holy city” of Babylonia from around 2300 BC, and the seat of the Neo-Babylonian empire from 612 BC. One of the goddesses associated with Babylonia was Ishtar, the most popular female deity of the Assyro-Babylonian pantheon and patron of the famous Ishtar Gate. She is the Akkadian counterpart to the Sumerian Inanna and the cognate to the northwest Semitic goddess Astarte. The Greeks associated her with Aphrodite (Latin Venus), and sometimes Hera. Ishtar was worshipped as a Great Goddess of fertility and sexuality, but also of war and death, and the guardian of prostitutes. She was also called the Great Whore and sacred prostitution formed part of her cult or those of cognate goddesses. 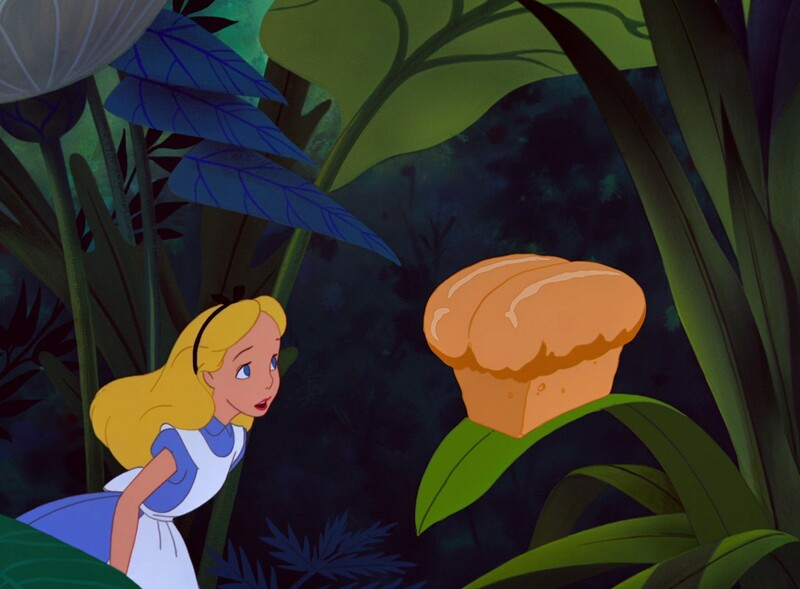 ‘Crawling at your feet,’ said the Gnat (Alice drew her feet back in some alarm), ‘you may observe a Bread-and-Butterfly. 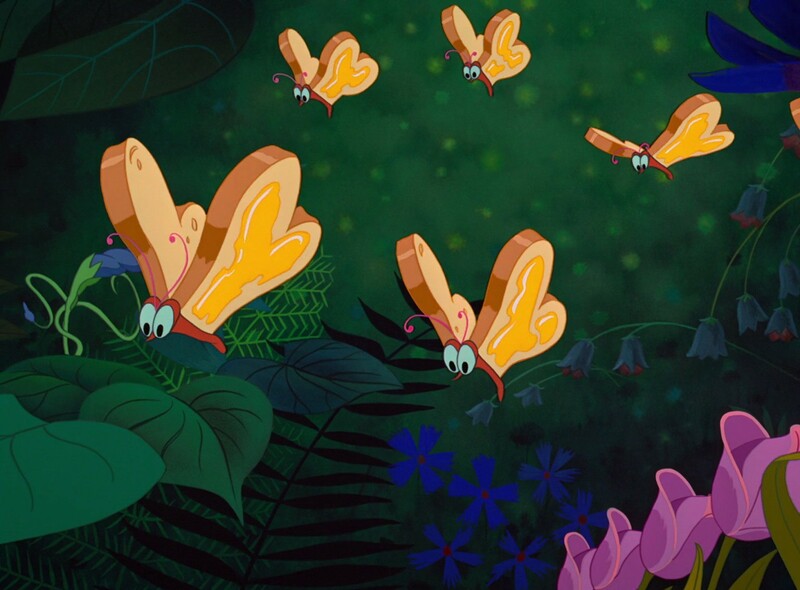 Its wings are thin slices of Bread-and-butter, its body is a crust, and its head is a lump of sugar. 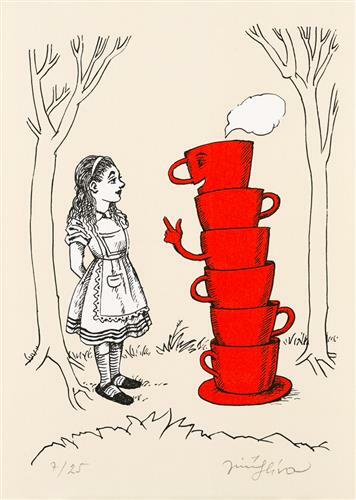 A new difficulty came into Alice’s head. ‘Supposing it couldn’t find any?’ she suggested. 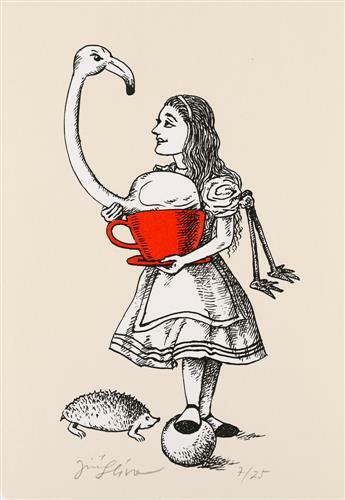 ‘But that must happen very often,’ Alice remarked thoughtfully. ‘It always happens,’ said the Gnat. 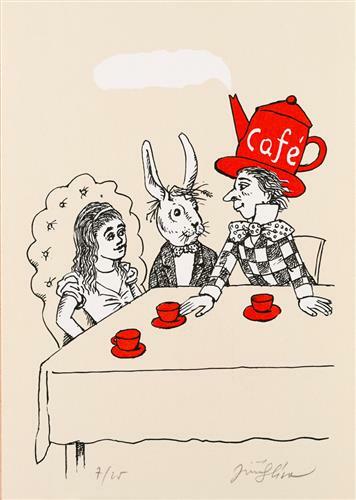 ‘No, indeed,’ Alice said, a little anxiously. This movie is Elle Fanning’s first lead role in a feature film. 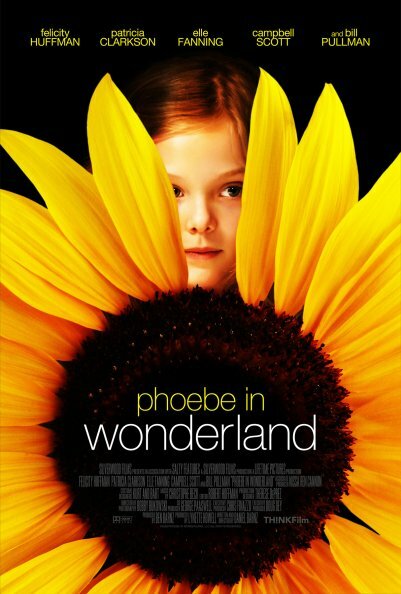 The first draft for the script was written one year before Elle Fanning (Phoebe) was even born. “…My eyes distractedly consult it – are drawn to it against my will, as they sometimes are by the senseless flickerings of an unregulated television set. It has that kind of frivolous power. 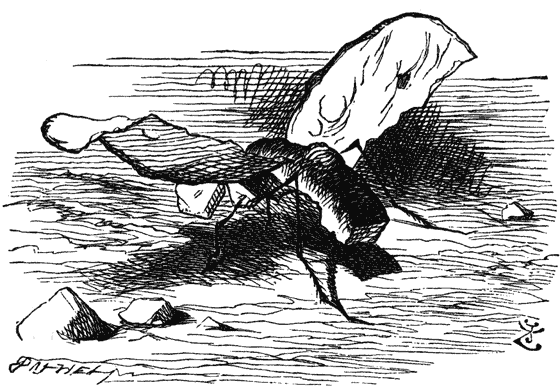 Therefore, I shall overly describe it – in the manner of those “avant garde” French novelists who, having chosen to discard narrative, character, and structure, restrict themselves to page-length paragraphs detailing the contours of a single object, the mechanics of an isolated movement: a wall, a white wall with a fly meandering across it. So: the object in Madame’s drawing room is a black mirror. It is seven inches tall and six inches wide. It is framed within a worn black leather case that is shaped like a book. 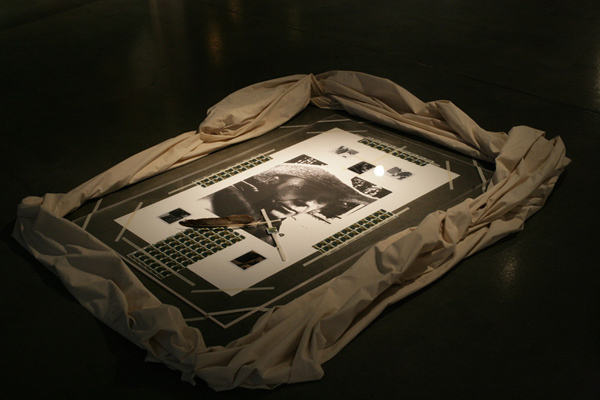 Indeed, the case is lying open on a table, just as though it were a deluxe edition meant to be picked up and browsed through; but there is nothing there to be read or seen – except the mystery of one’s own image projected by the black mirror’s surface before it recedes into its endless depths, its corridors of darkness. But truly keeps his first, last, everlasting day. If one might, death were no divorce. When bodies to their graves, souls from their graves remove. But we no more than all the rest. Treason to us, except one of us two. To write threescore: this is the second of our reign.